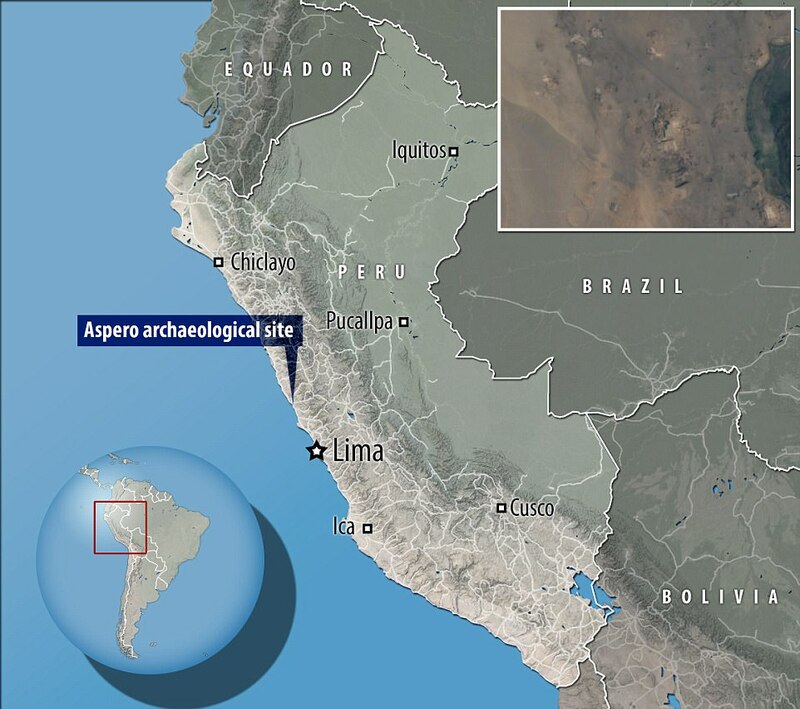 Scientists have recreated the face of a 4,500-year-old mummy, unearthed last year in an archaeological site in the coastal ruins of Aspero, north central Peru. The face of the woman, known as 'the Lady with the Four Brooches', was unveiled today at the Ministry of Culture in Lima. 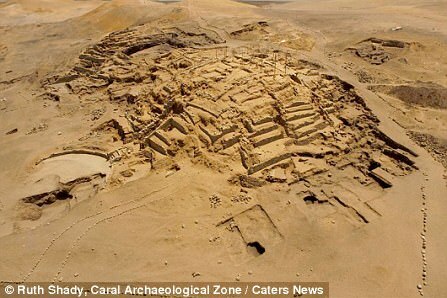 The findings shed new light on the important role of women who lived in an ancient gender-equal South American culture, called the Caral civilisation. 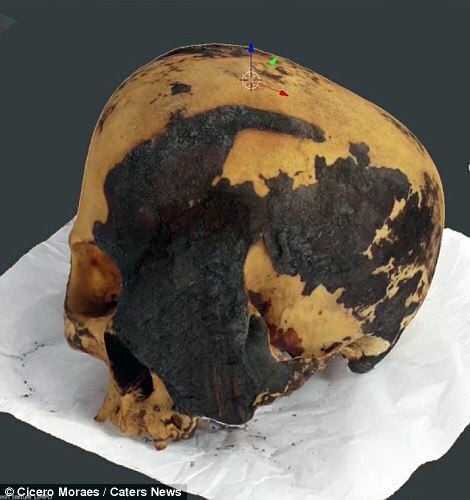 The mummy's skeletal remains were found in a burial chamber covered with a layer of ash in the Huaca of the Idols - a pyramid-shaped building built between the fourth and second millennia BC. 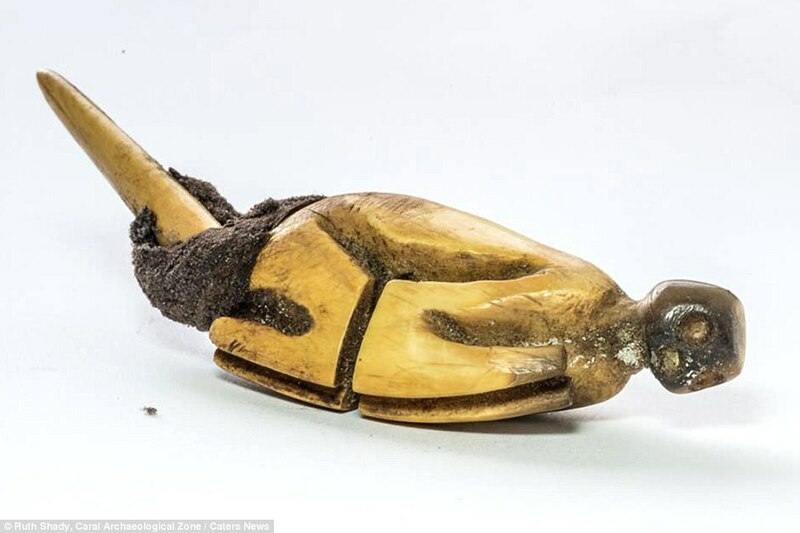 Analysis carried out on the corpse by physical anthropologist, Katya Valladares, indicates the noble woman was around five feet tall, she was right handed with signs that she was used to hard work. Before the woman died, she suffered three fractures that could have been caused by a fall. The expression on the ancient face that looks out from the virtual image is that of a benign and ordinary looking woman. 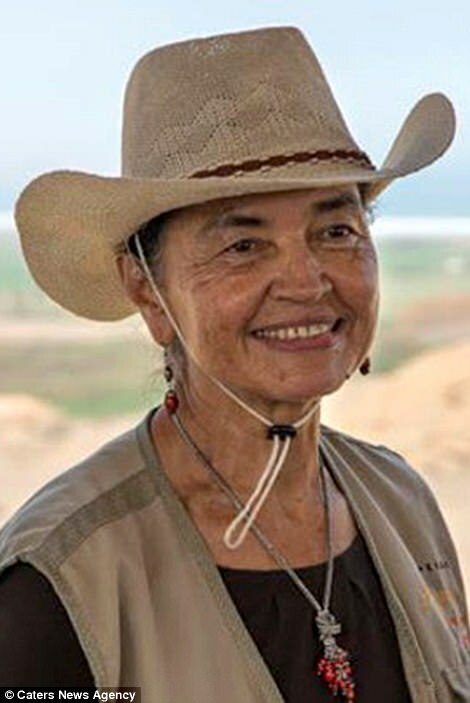 But, according to Dr Ruth Shady, director of the Caral Archaeological Zone (ZAC), the individual, who anthropologists concluded died between the ages of 40 and 50 years old, was anything but ordinary. 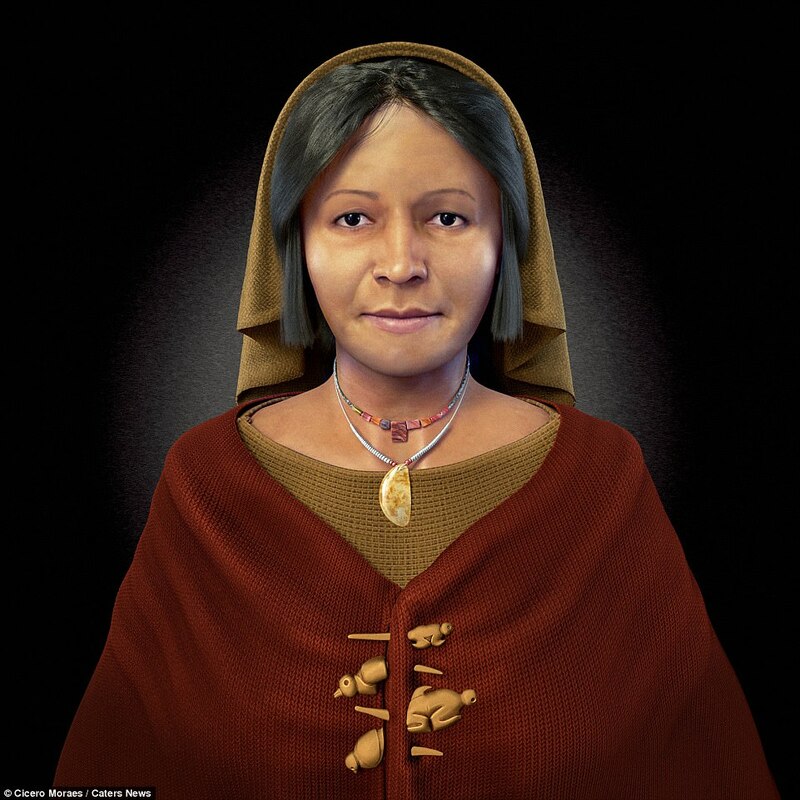 Dr Shady explained: 'It's exciting to see the computer-generated 3D image of a person who we believe was a noble woman with important social standing and authority in the ancient Caral civilisation. 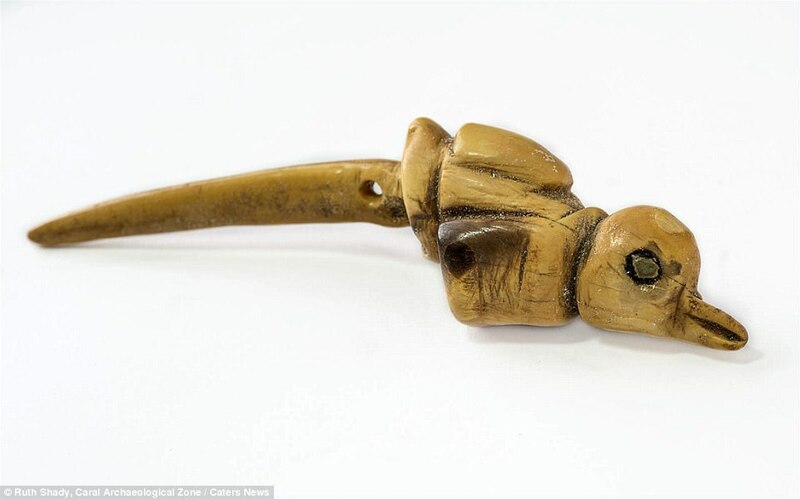 'Her discovery refers to the four brooches or 'cuatro tupus' carved from animal bones and shaped like monkeys and birds, that were found pinned to the fabric covering her remains. 'We know that these ornamental fasteners were used by women of prestige in traditional societies as symbols of their affluent social status. However, before the mummy's appearance could be revealed, Brazilian 3D computer graphic artist, Cicero Moraes, who spent two months working on the project, had the complicated task of digitally replacing a missing eye and softening a robust and very masculine jaw as he uncovered a face that had lain hidden for hundreds of thousands of years. 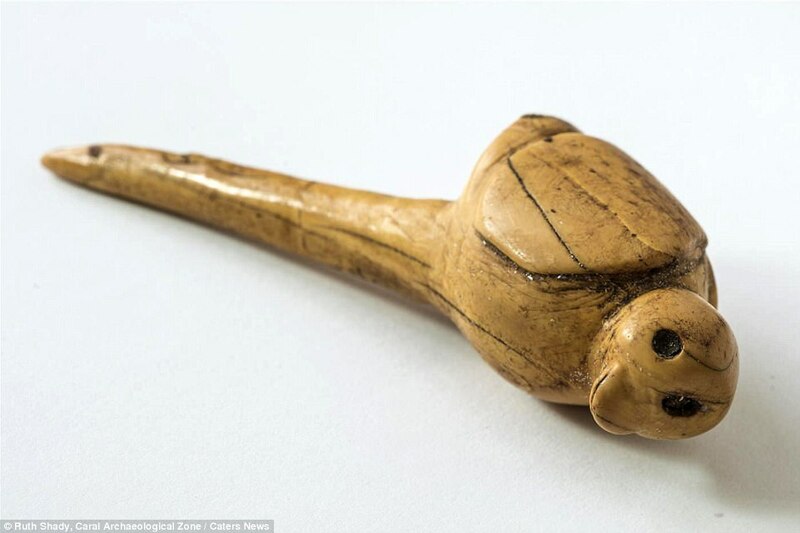 Mr Moraes said: 'There was a dark mass obscuring the skull's left eye socket which was partly caused by decaying body tissues and remnants of the funereal blanket covering the corpse. 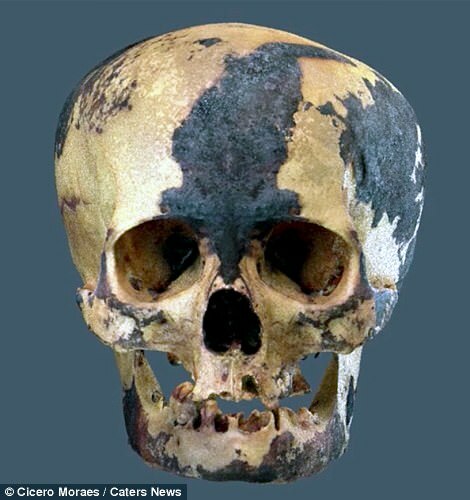 'Photogrammetry can only take 3D photographic scans of the outside of the object, so I digitised the skull as it was and found an ingenuous way to fill in the gap. 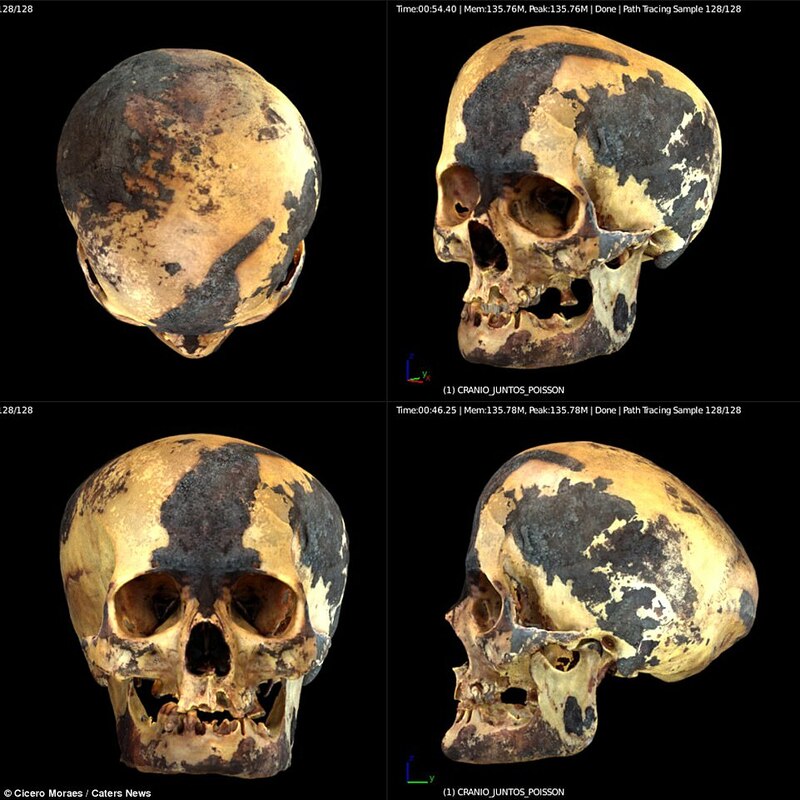 He said: 'Working with a disfigured skull is always a challenge as there is very little data to use as reference. 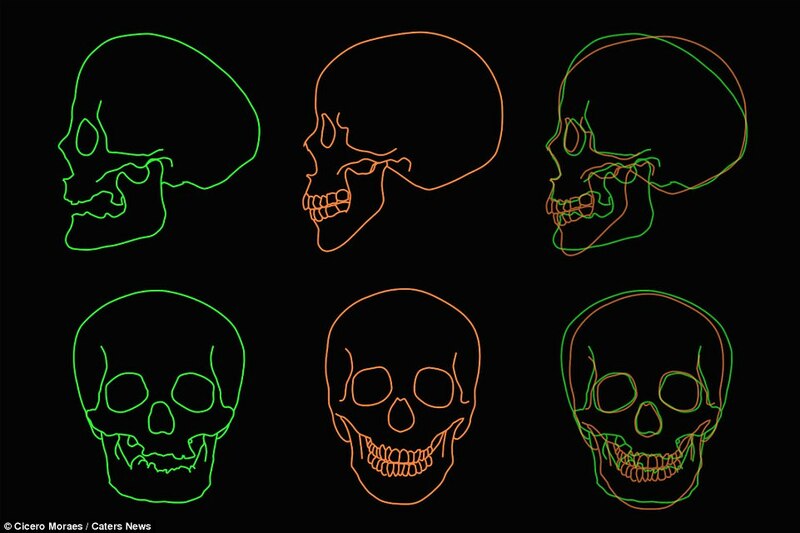 I compared the 'Lady's' skull with a modern woman of compatible ancestry and age. 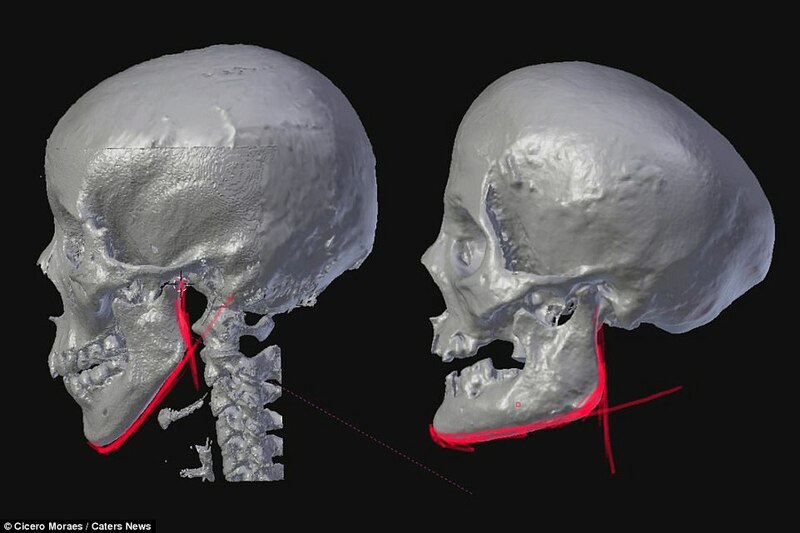 'By overlapping the structures, you could see how the jaw on the ancient skull was more robust and square compared to the recent skull. 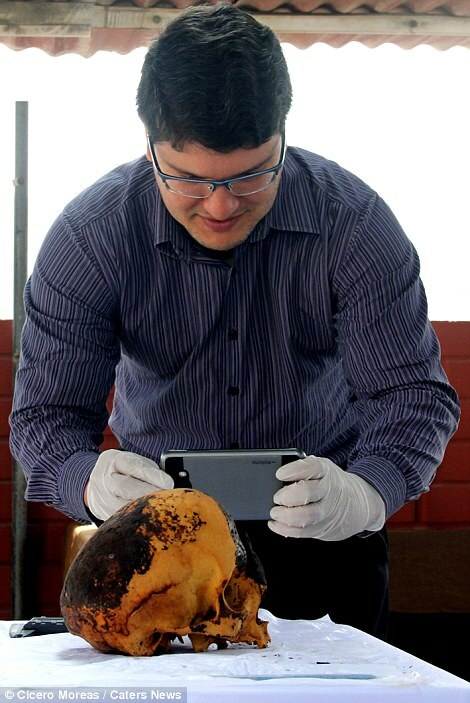 A multidisciplinary team of archaeologists, scientists and researchers was formed through an Inter-Institutional Cooperation Agreement between ZAC and the Inca Garcilaso de la Vega University (UIGV) at the start of the facial reconstruction project. 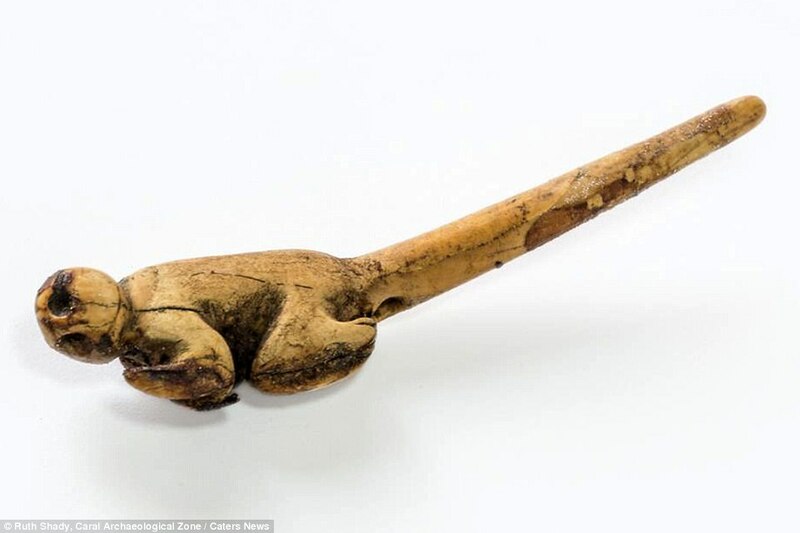 From the artefacts found, it appears the ancient Andean communities traded peaceably with other societies and promoted interaction and intercultural exchange over long distances which stretched as far as Ecuador and the Amazon. 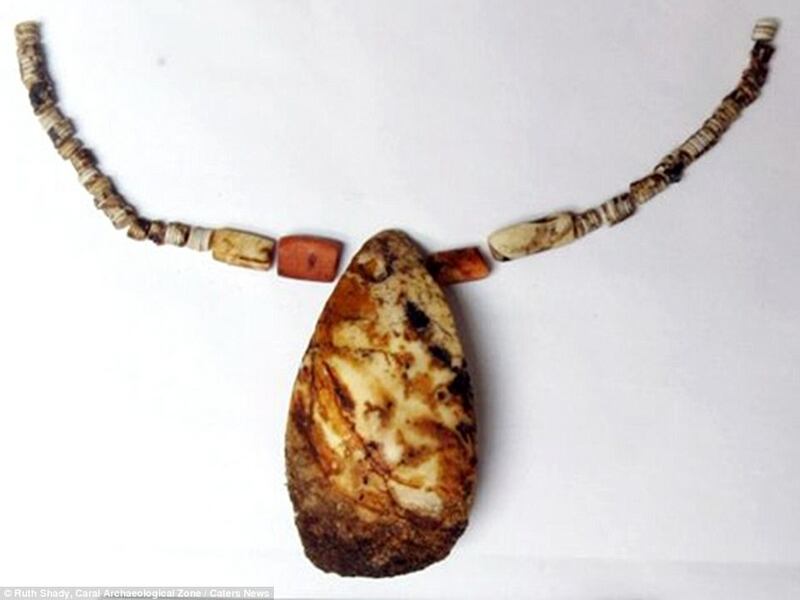 The mummy was unearthed last year in an archaeological site in the coastal ruins of Aspero, north central Peru. 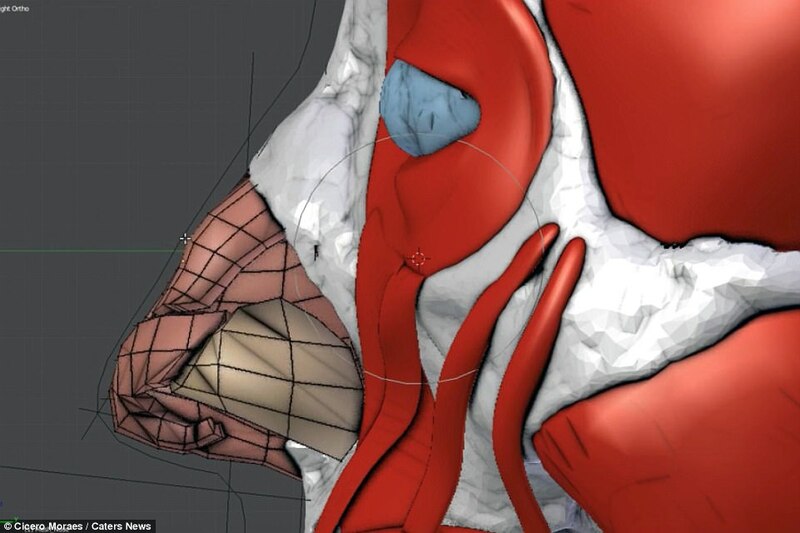 Dr Shady said: 'This computer-generated facial reconstruction is part of an ongoing project to develop in-depth understanding of the complex social and non-violent settlements that operated in the pre-Columbian civilisations. 'The work gives us an opportunity to reflect on gender-based issues in our present society. It will also stir up debate and increase the awareness of our country's historical heritage giving our projects greater visibility in Peru and throughout the rest of the world,' she said. It predates the Inca period by 4,000 years and was a harmonious community built on pleasure and commerce according to Dr Shady.